The paper is devoted to the publication of the materials of Catacomb 119 discovered at the Verkhnee Salto­vo IV cemetery in 2013. Its burial chamber contained a grave of a woman of 20–25 years old and a girl 4–5 years old. 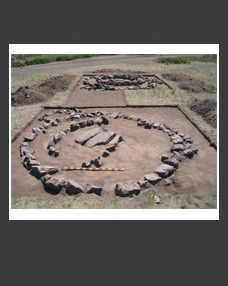 The remains of the woman rested on the floor of the chamber while the child was laid on the soil layer of 0.25 m thick covering the entire surface of the floor. The woman and the child belonged to the elite of Verkhniy Saltov society. Their social position is indicated by grave goods, which include two dirhams deco­rating child’s frontlet and ten coins reworked into pendants of the woman’s necklace. Such a huge amount of dirhams in one catacomb was never encountered at Verkhniy Saltov before. 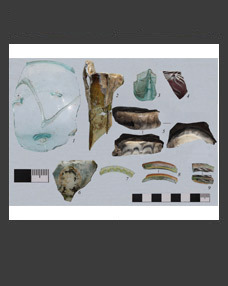 The finds enable us to date the catacomb to the mid–second half of the 9th century AD. 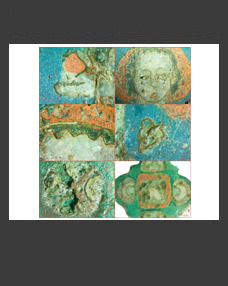 Keywords: Saltovo-Mayatskoe culture, Alans, catacomb, dirham, amulets.